The rainy season is winding down, ending a difficult winter for many North Bay commuters. Every day, 46,000 people drive Highway 37, the scenic route that connects Marin County with Vallejo, Napa and just about everywhere east. This thread, though essential, is also tenuous in that it's strung atop a berm barely above sea level. Traversing the vast salt marshes known as the San Pablo Baylands, the 21-mile stretch is emerging as an early challenge to planners confronting California's changing climate. In the drenching winter of 2016-17, flooding from winter storms shut down portions of the road for a total of 28 days. Then, last February, a levee broke on the Marin side, shutting down westbound lanes for five days while crews pumped water off the road and trucks hauled in loads of rock to shore it up. "It calls into question: How much longer can we have Highway 37 in the way that it is, without preparing for sea level rise?" wonders Assemblyman Marc Levine, D-San Rafael. He commutes on 37, from Marin to Sacramento, and was frustrated when the road was underwater again two years after Caltrans raised a section to prevent it from flooding. "We paved a couple of parts of it, and the part that we didn’t pave was the one that got flooded -- of course, it’s the bottom of the bathtub," he said, referring to the unelevated portions of the highway. "So we can’t pat ourselves on the back on these Band-Aids and quick fixes; we need to think a little bit bigger and think for the future." A recent USGS study projects that Highway 37 would be frequently underwater with about 10 inches of sea rise, which could occur between 2040 and 2050. 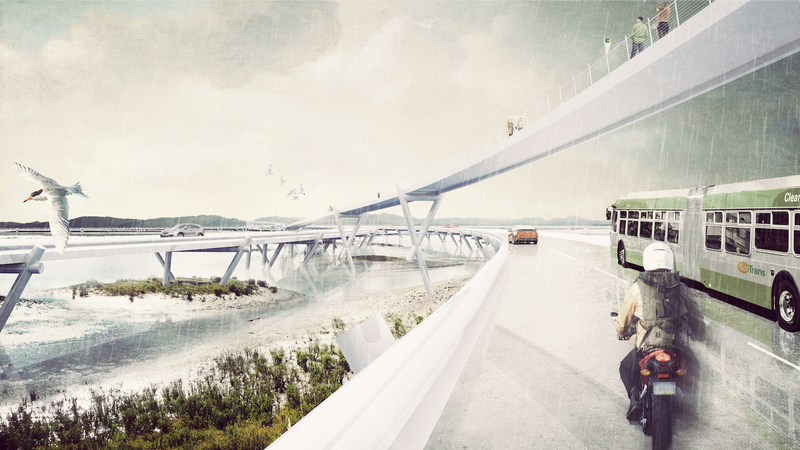 Twenty inches of rise, likely by 2070, would permanently overwhelm the roadway. That future is coming at us fast, with rising sea levels, high tides and extreme weather events. At the current pace of global warming, in little more than 20 years, Highway 37 could be underwater “multiple times per month,” based on recent projections by the U.S. Geological Survey. Some say it could be sooner. "We're noticing that the water is getting higher and higher near the highway," notes Fraser Shilling, who co-directs the Road Ecology Center at UC Davis. "We're increasing the baseline, the level of water around it, which increases the risk, with every storm, of the highway closing again," says Shilling. "So I would say we're in that window where any given year, the highway could close potentially indefinitely." That makes Steve Page really nervous. Page is the CEO of Sonoma Raceway. He depends on Highway 37 to get a half-million visitors a year to his track. He’s been to some meetings of the four-county task force, the Highway 37 Policy Committee, that has been working on a solution for more than three years. "You walk out of there after four hours borderline suicidal," says Page, "when you listen to presentations by the staff of the Metropolitan Transportation Commission, who sketch out a timeline saying that we might be able to adopt a final plan in 2055." Most potential solutions fall into three buckets: Raise the berm that supports the road; put the road on stilts and make it a causeway; reroute it entirely, skirting the marsh by looping it north along higher ground. All three would also widen the road, much of which is one lane in either direction and often choked with traffic. No matter which plan is eventually chosen, it’s certain to be a multibillion-dollar project. And since there’s currently no money for that, there’s growing sentiment that the new 37 will need to be a toll crossing. "Any proposal to elevate the highway through the marsh is a proposal to build a new road," says Shilling. "Because they’re not going to build it over the footprint of the existing road; it’s going to be alongside. So you’re talking about a whole new road." Adding urgency to the issue is that even as the bay is rising, the land itself is sinking. On the north side of the highway are thousands of acres of marshes. Much of that land is undergoing restoration, and these wetlands could provide a buffer against rising seas if it weren’t for Highway 37 itself, which in its present form acts as a kind of dam between the marsh and the bay. "It doesn't let the marsh do what it needs to do," says Susan Schwartzenberg. She studies the interaction of human and natural forces as head of the Fisher Bay Observatory at San Francisco’s Exploratorium. 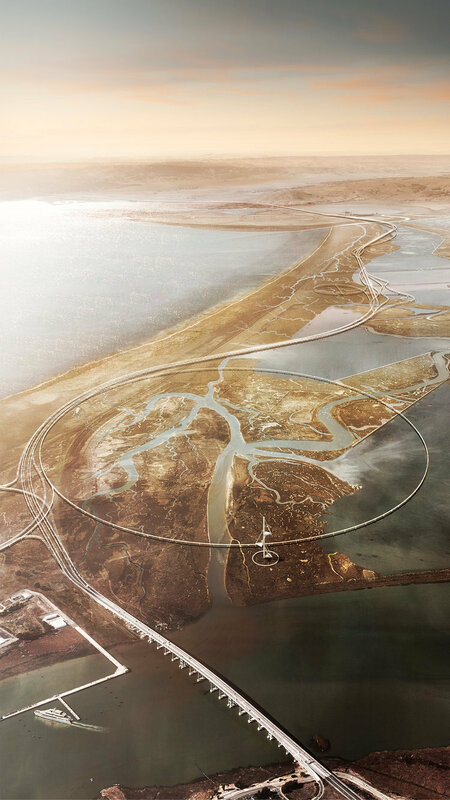 Schwartzenberg says making the road an elevated causeway, like most of the Dumbarton Bridge, for instance, would allow the wetlands to do their job: delivering sediment to the Bay, re-establishing plants, and providing animal habitat. "You see these swarms of birds, the gray, the brown hills in the background; it's a vista that everyone should love." "That would include the needs of transportation for people trying to get to work, but in a more elegant interesting way, and people to have access and develop the whole cultural life that’s embedded here ... and, you know, living with water into the future." That means, among other things, looking for ways to let the rising waters in, rather than pushing them back with seawalls and levees. Wetlands are a living example of that. There are some short-term measures already partly funded and in the pipeline, including conversion of the intersection at Sears Point into a roundabout, and possibly adding a reversible commute lane to the eastern leg of the roadway. But those are interim measures designed to relieve traffic congestion. Caltrans says settling on a long-term design to address the threat from rising seas could be years away. Shilling says one reason for that is that four counties and dozens of agencies are involved in the planning. And while he likes the idea of a Grand Bayway, he’s skeptical that it will happen. "Institutions are the barrier," he says. "It's institutions not having the mechanisms for creative thinking for new ways of doing things to adapt to this new kind of condition." 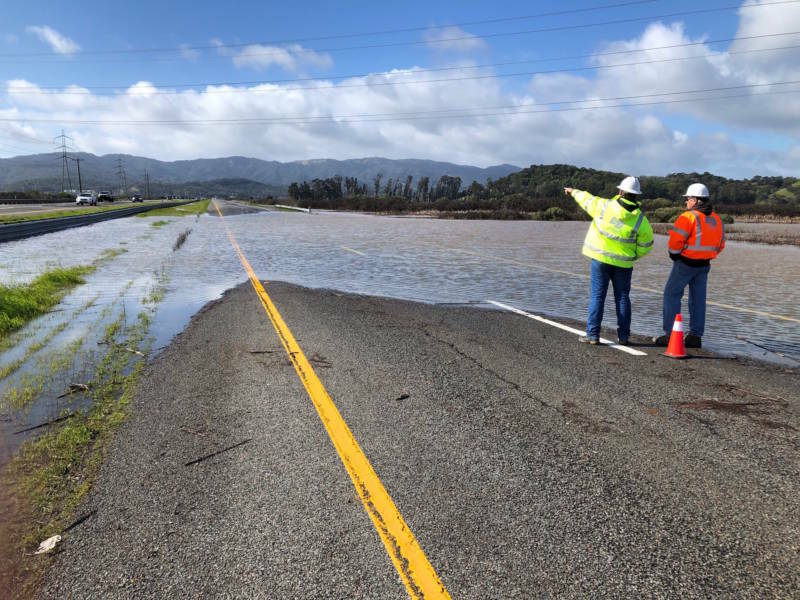 This “new condition” of rising waters means that the “old” Highway 37 -- the one we still count on -- could be the first major thoroughfare that the Bay Area loses, completely, to climate change.